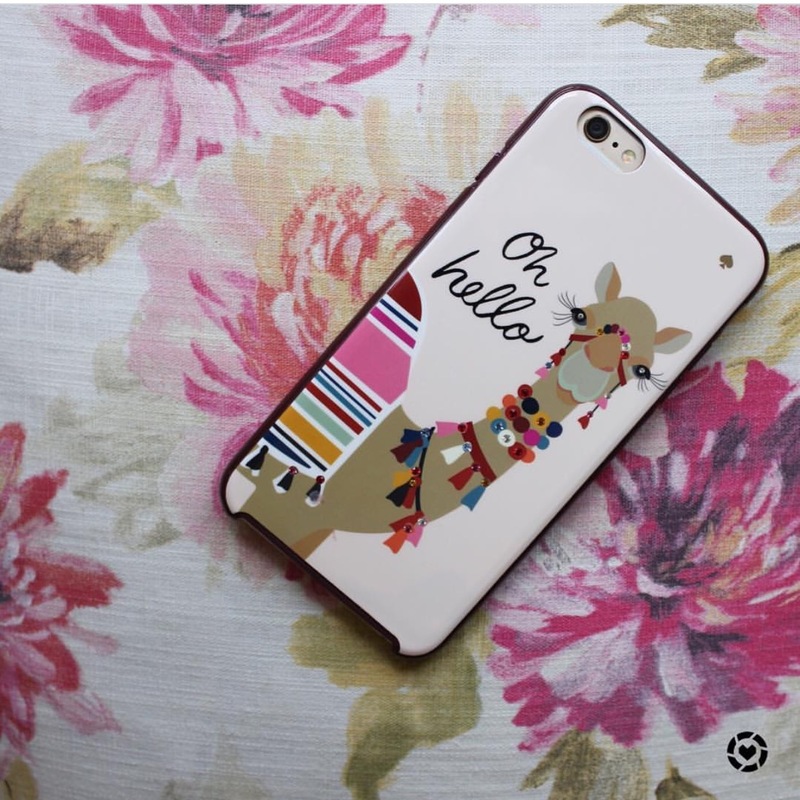 How adorable is this Kate Spade phone case?! I purchased this one because I cracked my old case! I decided to get something fun! I am thinking about doing a spring home tour! What do you think? I love home decor and I am always decorating! These floral pillow covers are a favorite of mine this spring. I purchase them last year and they are super affordable! I also love this black and tan pillow cover. It is such a great neutral that I can use all year long! Most of my items are from Homegoods. I think I go there at least once a week. Their merchandise is always moving, so each week is different! I get a lot of questions about these vases. They are an absolute favorite! I have three of them! I seriously need to make a trip to Magnolia. My couch is another question I get often. We love it and it has held up with two dogs. As much as I would like to keep Zoe off the couch, I have given up. She loves to cuddle with her mama. I cannot say no! Coming soon! A few weeks ago, I decided to redo my closet! There is a post coming soon! I have a few more things to do! Once it is done, I plan to share everything! State tuned! I get a lot of questions about this wreath! 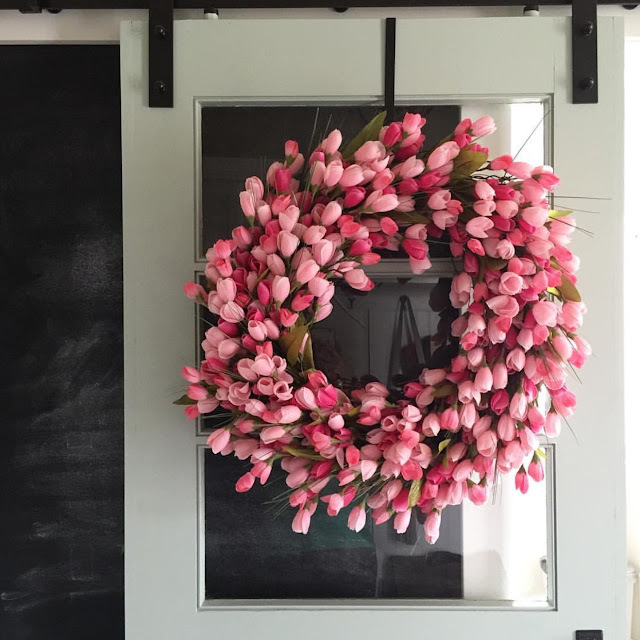 Check out the post here DIY tulip wreath . Stackable rings are from Everly. 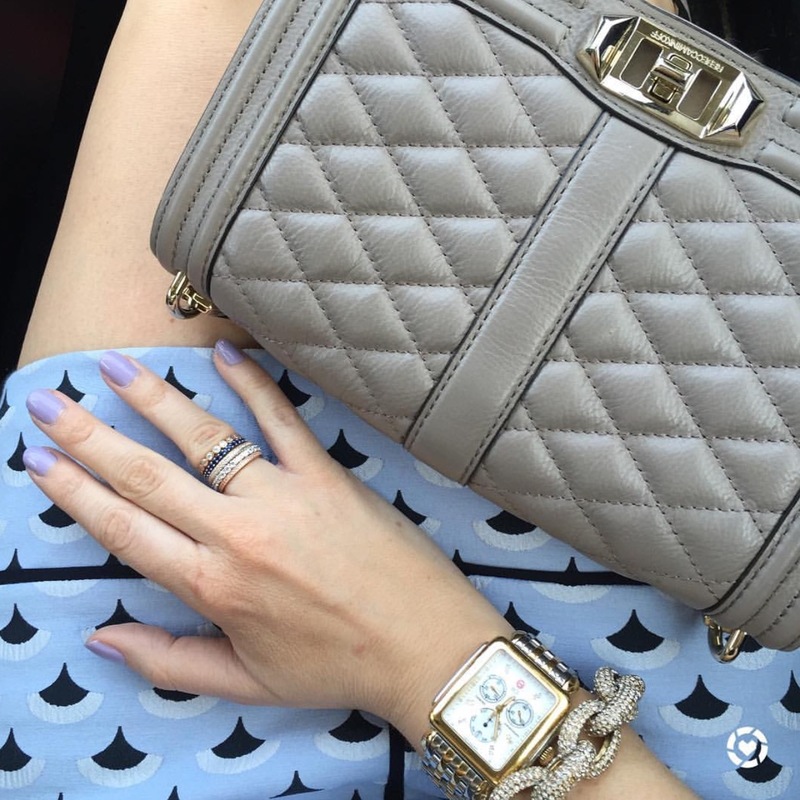 This Michele watch is a favorite! It is on the expensive side, but it is something that I wear every single day. I have had it for three years, and it has held up well! 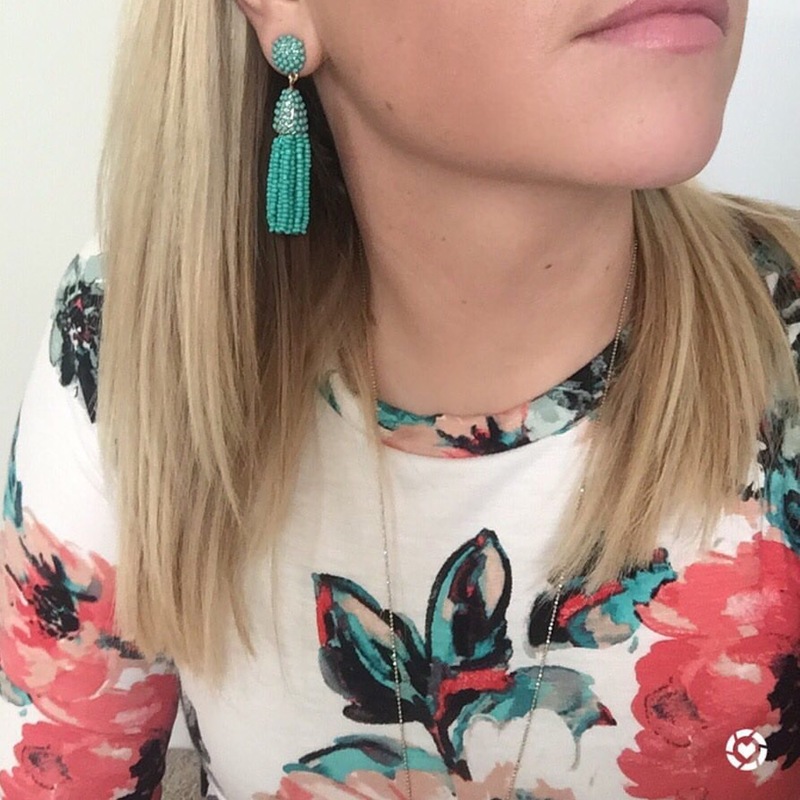 I love these mini tassel earrings! I have them in two colors because they are so fun! My sister loves them because she does not want all the weight on her ears. These are comfy and can get you through the day! 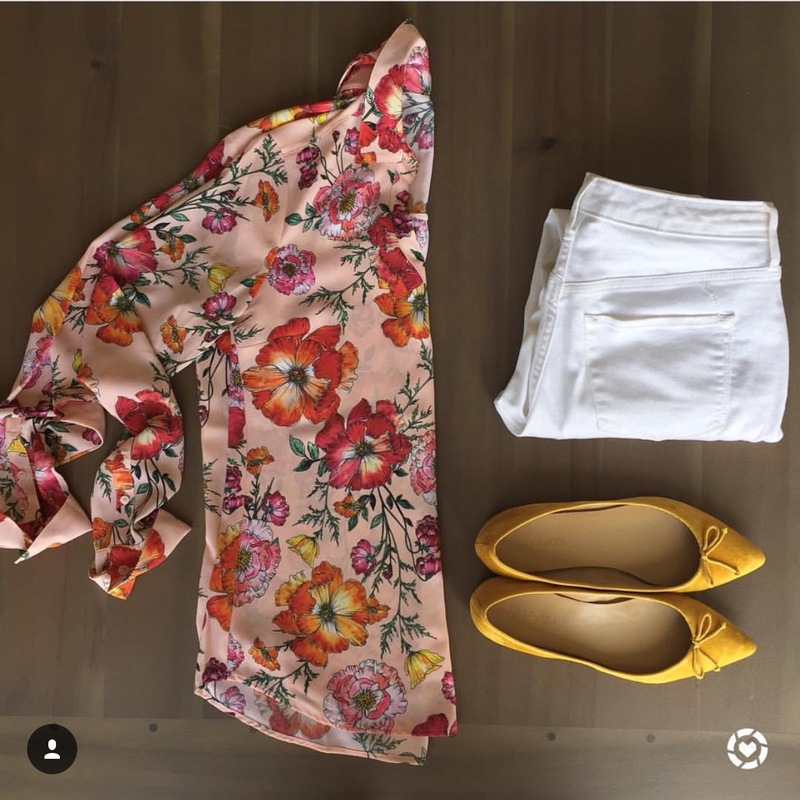 As soon as I saw this floral top I knew I had to have it! I love the colors and it is so fun for spring! I love this color combo! 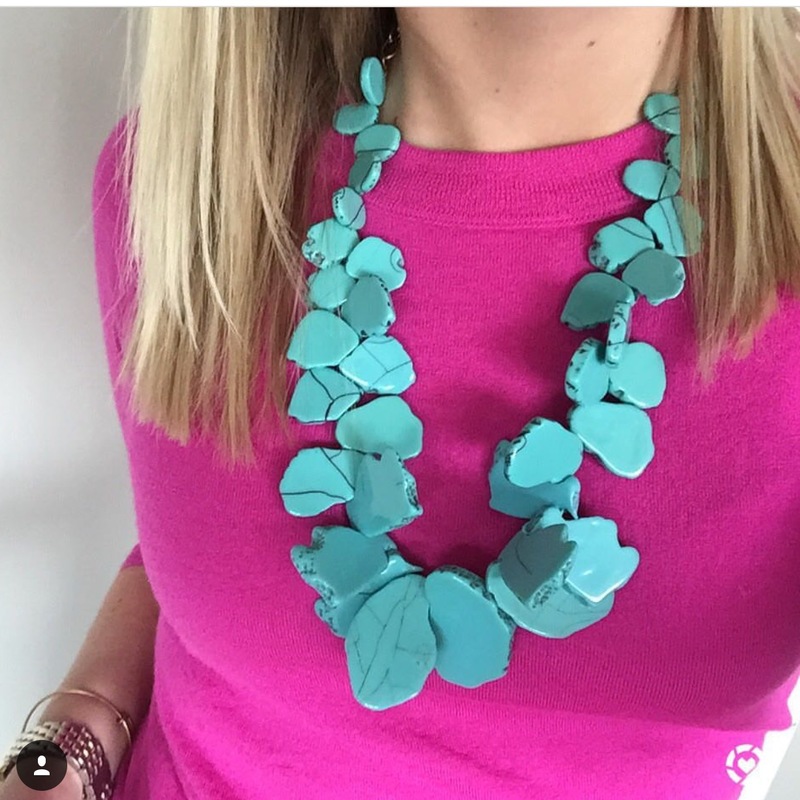 I love wearing pink and a turquoise necklace! There are so many good combos to wear with this necklace! Red and yellow are another favorite of mine! This tassel bag is under $200 dollars and so trendy for spring/summer! I love a good sale find! Also if you follow me on Instagram @jacquelinerendine you can see more! If you saw from my instastories this past weekend, I found a pair of Stuart Weitzman over the knee boots on major sale this weekend! They are originally $800 dollars, I found them for $80! They came home with me! Your new phone case is TOO cute! And yay for new closets- cannot wait to see the finished product! Oh yes do a house tour! Your style looks wonderful and your closet is awesome, wish I had a closet like this! I can't wait to see your closet! I'm obsessed with all the space! 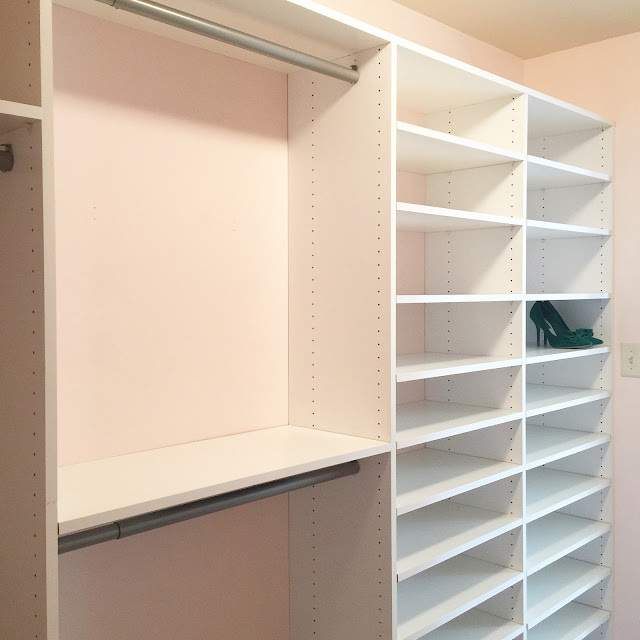 Hardly wait to see your closet since I am planning to modify mine! I love this tassel bag! So cute! such a great recap! that wreathe is so pretty! !